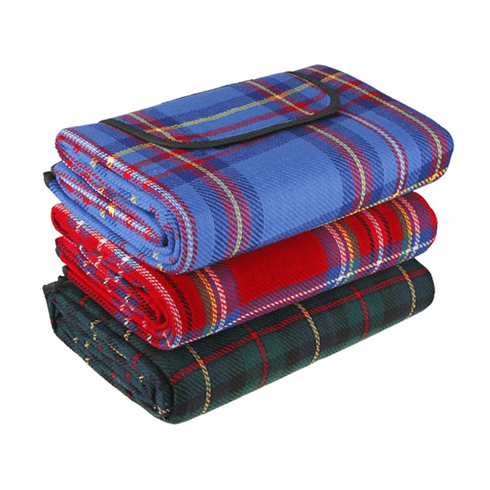 A perfect mat for picnics, camping & hiking, beach fun, sporting events, backyard play, park, outdoor concerts, and baby climb. Material: PP woven acrylic fabric. sponge foam, water resistant backing. Please hand wash gently. Cannot be machine washed or dried. Foam padded, light weight, fold easy for storage and travel. soft easy care fabric blanket on top.